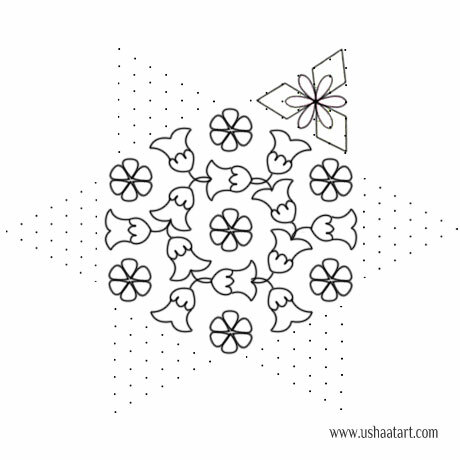 13 – 7 interlaced dots (Idukku Pulli) Kolam. 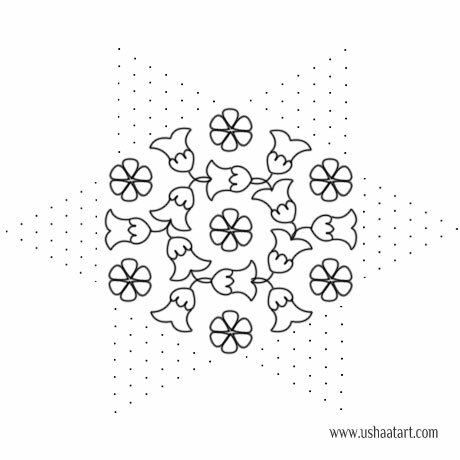 Put 13 dots then interlaced dots (Idukku Pulli) stop at 7 dots. 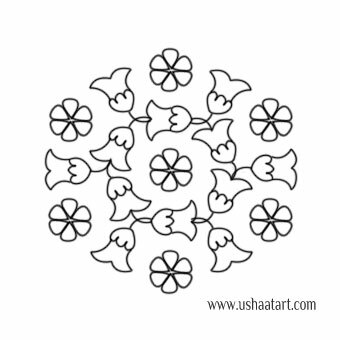 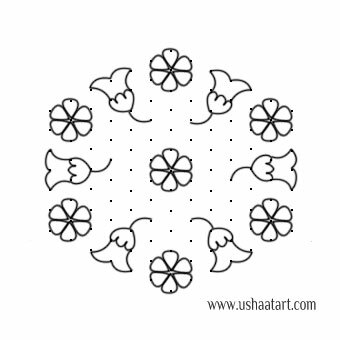 Put 7 dots then interlaced dots (Idukku Pulli) stop at 1 dot around the kolam as shown below. 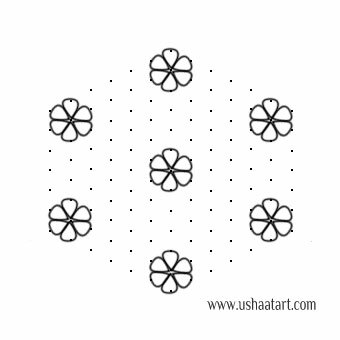 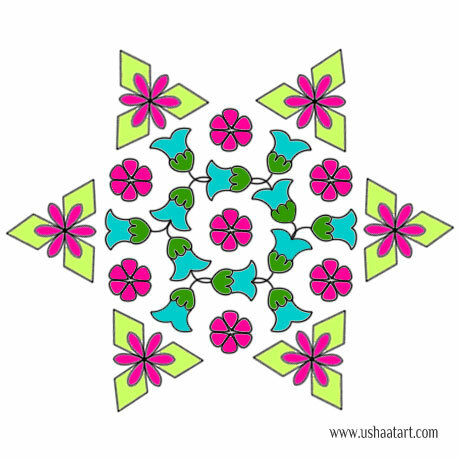 Draw below pattern with flower and diamonds. 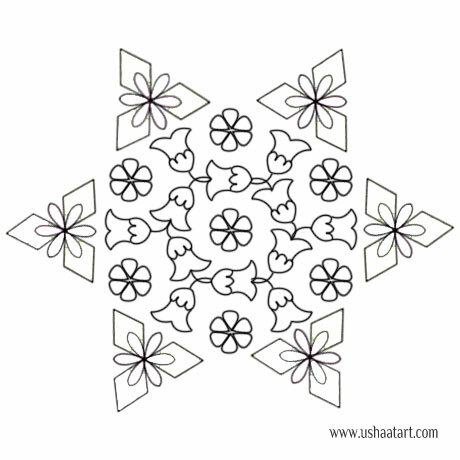 Similarly draw around the middle kolam.